4151001 PC200-1 KOMATSU PC200-1 Crawler excavator "PC 200" series. Spare Parts Catalog. Service (workshop) Manual. Operator's Instruction Manual. 4151002 PC200-2 KOMATSU PC200-2 Crawler excavator "PC 200" series. Spare Parts Catalog. Service (workshop) Manual. Operator's Instruction Manual. 4151003 PC200-3 KOMATSU PC200-3 Crawler excavator "PC 200" series. Spare Parts Catalog. Service (workshop) Manual. Operator's Instruction Manual. 4151004 PC200-5 KOMATSU PC200-5 Crawler excavator "PC 200" series. Spare Parts Catalog. Service (workshop) Manual. Operator's Instruction Manual. 4151005 PC200-6 KOMATSU PC200-6 Crawler excavator "PC 200" series. Spare Parts Catalog. Service (workshop) Manual. Operator's Instruction Manual. 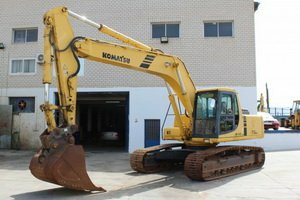 4151006 PC200-6A KOMATSU PC200-6A Crawler excavator "PC 200" series. Spare Parts Catalog. Service (workshop) Manual. Operator's Instruction Manual. 4151007 PC200-6B KOMATSU PC200-6B Crawler excavator "PC 200" series. Spare Parts Catalog. Service (workshop) Manual. Operator's Instruction Manual. 4151008 PC200-7 KOMATSU PC200-7 Crawler excavator "PC 200" series. Spare Parts Catalog. Service (workshop) Manual. Operator's Instruction Manual. 4151009 PC200-7 Galeo KOMATSU PC200-7 Galeo Crawler excavator "PC 200" series. Spare Parts Catalog. Service (workshop) Manual. Operator's Instruction Manual. 4151010 PC200-7B Galeo KOMATSU PC200-7B Galeo Crawler excavator "PC 200" series. Spare Parts Catalog. Service (workshop) Manual. Operator's Instruction Manual. 4151011 PC200-8 KOMATSU PC200-8 Crawler excavator "PC 200" series. Spare Parts Catalog. Service (workshop) Manual. Operator's Instruction Manual. 4151012 PC200-8 Galeo KOMATSU PC200-8 Galeo Crawler excavator "PC 200" series. Spare Parts Catalog. Service (workshop) Manual. Operator's Instruction Manual. 4151013 PC200-8E0 KOMATSU PC200-8E0 Crawler excavator "PC 200" series. Spare Parts Catalog. Service (workshop) Manual. Operator's Instruction Manual. 4151014 PC200-8M0 KOMATSU PC200-8M0 Crawler excavator "PC 200" series. Spare Parts Catalog. Service (workshop) Manual. Operator's Instruction Manual. 4151015 PC200-10 KOMATSU PC200-10 Crawler excavator "PC 200" series. Spare Parts Catalog. Service (workshop) Manual. Operator's Instruction Manual. 4151016 PC200EL-6K KOMATSU PC200EL-6K Crawler excavator "PC 200" series. Spare Parts Catalog. Service (workshop) Manual. Operator's Instruction Manual. 4151017 PC200EN-6K KOMATSU PC200EN-6K Crawler excavator "PC 200" series. Spare Parts Catalog. Service (workshop) Manual. Operator's Instruction Manual. 4151018 PC200LC-10 KOMATSU PC200LC-10 Crawler excavator "PC 200" series. Spare Parts Catalog. Service (workshop) Manual. Operator's Instruction Manual. 4151019 PC200LC-2 KOMATSU PC200LC-2 Crawler excavator "PC 200" series. Spare Parts Catalog. Service (workshop) Manual. Operator's Instruction Manual. 4151020 PC200LC-3 KOMATSU PC200LC-3 Crawler excavator "PC 200" series. Spare Parts Catalog. Service (workshop) Manual. Operator's Instruction Manual. 4151021 PC200LC-5 KOMATSU PC200LC-5 Crawler excavator "PC 200" series. Spare Parts Catalog. Service (workshop) Manual. Operator's Instruction Manual. 4151022 PC200LC-6 KOMATSU PC200LC-6 Crawler excavator "PC 200" series. Spare Parts Catalog. Service (workshop) Manual. Operator's Instruction Manual. 4151023 PC200LC-6A KOMATSU PC200LC-6A Crawler excavator "PC 200" series. Spare Parts Catalog. Service (workshop) Manual. Operator's Instruction Manual. 4151024 PC200LC-6B KOMATSU PC200LC-6B Crawler excavator "PC 200" series. Spare Parts Catalog. Service (workshop) Manual. Operator's Instruction Manual. 4151025 PC200LC-6LE KOMATSU PC200LC-6LE Crawler excavator "PC 200" series. Spare Parts Catalog. Service (workshop) Manual. Operator's Instruction Manual. 4151026 PC200LC-6Z KOMATSU PC200LC-6Z Crawler excavator "PC 200" series. Spare Parts Catalog. Service (workshop) Manual. Operator's Instruction Manual. 4151027 PC200LC-7 KOMATSU PC200LC-7 Crawler excavator "PC 200" series. Spare Parts Catalog. Service (workshop) Manual. Operator's Instruction Manual. 4151028 PC200LC-7B KOMATSU PC200LC-7B Crawler excavator "PC 200" series. Spare Parts Catalog. Service (workshop) Manual. Operator's Instruction Manual. 4151029 PC200LC-7BA KOMATSU PC200LC-7BA Crawler excavator "PC 200" series. Spare Parts Catalog. Service (workshop) Manual. Operator's Instruction Manual. 4151030 PC200LC-7L KOMATSU PC200LC-7L Crawler excavator "PC 200" series. Spare Parts Catalog. Service (workshop) Manual. Operator's Instruction Manual. 4151031 PC200LC-7-US KOMATSU PC200LC-7-US Crawler excavator "PC 200" series. Spare Parts Catalog. Service (workshop) Manual. Operator's Instruction Manual. 4151032 PC200LC-8 KOMATSU PC200LC-8 Crawler excavator "PC 200" series. Spare Parts Catalog. Service (workshop) Manual. Operator's Instruction Manual. 4151033 PC200LC-8 Galeo KOMATSU PC200LC-8 Galeo Crawler excavator "PC 200" series. Spare Parts Catalog. Service (workshop) Manual. Operator's Instruction Manual. 4151034 PC200LC-8E0 KOMATSU PC200LC-8E0 Crawler excavator "PC 200" series. Spare Parts Catalog. Service (workshop) Manual. Operator's Instruction Manual. 4151035 PC200LC-8M0 KOMATSU PC200LC-8M0 Crawler excavator "PC 200" series. Spare Parts Catalog. Service (workshop) Manual. Operator's Instruction Manual. 4151036 PC200LL-6 KOMATSU PC200LL-6 Crawler excavator "PC 200" series. Spare Parts Catalog. Service (workshop) Manual. Operator's Instruction Manual. 4151037 PC200LL-7L KOMATSU PC200LL-7L Crawler excavator "PC 200" series. Spare Parts Catalog. Service (workshop) Manual. Operator's Instruction Manual. 4151038 PC200LL-8 KOMATSU PC200LL-8 Crawler excavator "PC 200" series. Spare Parts Catalog. Service (workshop) Manual. Operator's Instruction Manual. 4151039 PC200SC-6 KOMATSU PC200SC-6 Crawler excavator "PC 200" series. Spare Parts Catalog. Service (workshop) Manual. Operator's Instruction Manual. 4151040 PC200SC-7 KOMATSU PC200SC-7 Crawler excavator "PC 200" series. Spare Parts Catalog. Service (workshop) Manual. Operator's Instruction Manual. 4151041 PC200Z-6LE KOMATSU PC200Z-6LE Crawler excavator "PC 200" series. Spare Parts Catalog. Service (workshop) Manual. Operator's Instruction Manual. 4151043 PC210-3K KOMATSU PC210-3K Crawler excavator "PC 210" series. Spare Parts Catalog. Service (workshop) Manual. Operator's Instruction Manual. 4151044 PC210-5K KOMATSU PC210-5K Crawler excavator "PC 210" series. Spare Parts Catalog. Service (workshop) Manual. Operator's Instruction Manual. 4151045 PC210-6 KOMATSU PC210-6 Crawler excavator "PC 210" series. Spare Parts Catalog. Service (workshop) Manual. Operator's Instruction Manual. 4151046 PC210-6K KOMATSU PC210-6K Crawler excavator "PC 210" series. Spare Parts Catalog. Service (workshop) Manual. Operator's Instruction Manual. 4151047 PC210-6S KOMATSU PC210-6S Crawler excavator "PC 210" series. Spare Parts Catalog. Service (workshop) Manual. Operator's Instruction Manual. 4151048 PC210-7 KOMATSU PC210-7 Crawler excavator "PC 210" series. Spare Parts Catalog. Service (workshop) Manual. Operator's Instruction Manual. 4151049 PC210-7K KOMATSU PC210-7K Crawler excavator "PC 210" series. Spare Parts Catalog. Service (workshop) Manual. Operator's Instruction Manual. 4151050 PC210-8K KOMATSU PC210-8K Crawler excavator "PC 210" series. Spare Parts Catalog. Service (workshop) Manual. Operator's Instruction Manual. 4151051 PC210-8 KOMATSU PC210-8 Crawler excavator "PC 210" series. Spare Parts Catalog. Service (workshop) Manual. Operator's Instruction Manual. 4151052 PC210-10 KOMATSU PC210-10 Crawler excavator "PC 210" series. Spare Parts Catalog. Service (workshop) Manual. Operator's Instruction Manual. 4151053 PC210LC-3 KOMATSU PC210LC-3 Crawler excavator "PC 210" series. Spare Parts Catalog. Service (workshop) Manual. Operator's Instruction Manual. 4151054 PC210LC-5K KOMATSU PC210LC-5K Crawler excavator "PC 210" series. Spare Parts Catalog. Service (workshop) Manual. Operator's Instruction Manual. 4151055 PC210LC-6 KOMATSU PC210LC-6 Crawler excavator "PC 210" series. Spare Parts Catalog. Service (workshop) Manual. Operator's Instruction Manual. 4151056 PC210LC-6K KOMATSU PC210LC-6K Crawler excavator "PC 210" series. Spare Parts Catalog. Service (workshop) Manual. Operator's Instruction Manual. 4151057 PC210LC-6LC KOMATSU PC210LC-6LC Crawler excavator "PC 210" series. Spare Parts Catalog. Service (workshop) Manual. Operator's Instruction Manual. 4151058 PC210LC-6LE KOMATSU PC210LC-6LE Crawler excavator "PC 210" series. Spare Parts Catalog. Service (workshop) Manual. Operator's Instruction Manual. 4151059 PC210LC-7 KOMATSU PC210LC-7 Crawler excavator "PC 210" series. Spare Parts Catalog. Service (workshop) Manual. Operator's Instruction Manual. 4151060 PC210LC-7K KOMATSU PC210LC-7K Crawler excavator "PC 210" series. Spare Parts Catalog. Service (workshop) Manual. Operator's Instruction Manual. 4151061 PC210LC-8K KOMATSU PC210LC-8K Crawler excavator "PC 210" series. Spare Parts Catalog. Service (workshop) Manual. Operator's Instruction Manual. 4151062 PC210LC-10 KOMATSU PC210LC-10 Crawler excavator "PC 210" series. Spare Parts Catalog. Service (workshop) Manual. Operator's Instruction Manual. 4151063 PC210LC-10K KOMATSU PC210LC-10K Crawler excavator "PC 210" series. Spare Parts Catalog. Service (workshop) Manual. Operator's Instruction Manual. 4151064 PC210MH-7 KOMATSU PC210MH-7 Crawler excavator "PC 210" series. Spare Parts Catalog. Service (workshop) Manual. Operator's Instruction Manual. 4151065 PC210MH-8 KOMATSU PC210MH-8 Crawler excavator "PC 210" series. Spare Parts Catalog. Service (workshop) Manual. Operator's Instruction Manual. 4151066 PC210NLC-7K KOMATSU PC210NLC-7K Crawler excavator "PC 210" series. Spare Parts Catalog. Service (workshop) Manual. Operator's Instruction Manual. 4151067 PC210NLC-8K KOMATSU PC210NLC-8K Crawler excavator "PC 210" series. Spare Parts Catalog. Service (workshop) Manual. Operator's Instruction Manual. 4151069 PC220-1 KOMATSU PC220-1 Crawler excavator "PC 220" series. Spare Parts Catalog. Service (workshop) Manual. Operator's Instruction Manual. 4151070 PC220-2 KOMATSU PC220-2 Crawler excavator "PC 220" series. Spare Parts Catalog. Service (workshop) Manual. Operator's Instruction Manual. 4151071 PC220-3 KOMATSU PC220-3 Crawler excavator "PC 220" series. Spare Parts Catalog. Service (workshop) Manual. Operator's Instruction Manual. 4151072 PC220-5 KOMATSU PC220-5 Crawler excavator "PC 220" series. Spare Parts Catalog. Service (workshop) Manual. Operator's Instruction Manual. 4151073 PC220-6 KOMATSU PC220-6 Crawler excavator "PC 220" series. Spare Parts Catalog. Service (workshop) Manual. Operator's Instruction Manual. 4151074 PC220-7 KOMATSU PC220-7 Crawler excavator "PC 220" series. Spare Parts Catalog. Service (workshop) Manual. Operator's Instruction Manual. 4151075 PC220-8 KOMATSU PC220-8 Crawler excavator "PC 220" series. Spare Parts Catalog. Service (workshop) Manual. Operator's Instruction Manual. 4151076 PC220-8 Galeo KOMATSU PC220-8 Galeo Crawler excavator "PC 220" series. Spare Parts Catalog. Service (workshop) Manual. Operator's Instruction Manual. 4151077 PC220-8M0 KOMATSU PC220-8M0 Crawler excavator "PC 220" series. Spare Parts Catalog. Service (workshop) Manual. Operator's Instruction Manual. 4151078 PC220-10 KOMATSU PC220-10 Crawler excavator "PC 220" series. Spare Parts Catalog. Service (workshop) Manual. Operator's Instruction Manual. 4151079 PC220LC-10 KOMATSU PC220LC-10 Crawler excavator "PC 220" series. Spare Parts Catalog. Service (workshop) Manual. Operator's Instruction Manual. 4151080 PC220LC-2 KOMATSU PC220LC-2 Crawler excavator "PC 220" series. Spare Parts Catalog. Service (workshop) Manual. Operator's Instruction Manual. 4151081 PC220LC-3 KOMATSU PC220LC-3 Crawler excavator "PC 220" series. Spare Parts Catalog. Service (workshop) Manual. Operator's Instruction Manual. 4151082 PC220LC-5 KOMATSU PC220LC-5 Crawler excavator "PC 220" series. Spare Parts Catalog. Service (workshop) Manual. Operator's Instruction Manual. 4151083 PC220LC-6 KOMATSU PC220LC-6 Crawler excavator "PC 220" series. Spare Parts Catalog. Service (workshop) Manual. Operator's Instruction Manual. 4151084 PC220LC-6LC KOMATSU PC220LC-6LC Crawler excavator "PC 220" series. Spare Parts Catalog. Service (workshop) Manual. Operator's Instruction Manual. 4151085 PC220LC-6LE KOMATSU PC220LC-6LE Crawler excavator "PC 220" series. Spare Parts Catalog. Service (workshop) Manual. Operator's Instruction Manual. 4151086 PC220LC-7 KOMATSU PC220LC-7 Crawler excavator "PC 220" series. Spare Parts Catalog. Service (workshop) Manual. Operator's Instruction Manual. 4151087 PC220LC-7L KOMATSU PC220LC-7L Crawler excavator "PC 220" series. Spare Parts Catalog. Service (workshop) Manual. Operator's Instruction Manual. 4151088 PC220LC-8 KOMATSU PC220LC-8 Crawler excavator "PC 220" series. Spare Parts Catalog. Service (workshop) Manual. Operator's Instruction Manual. 4151089 PC220LC-8 Galeo KOMATSU PC220LC-8 Galeo Crawler excavator "PC 220" series. Spare Parts Catalog. Service (workshop) Manual. Operator's Instruction Manual. 4151090 PC220LC-8M0 KOMATSU PC220LC-8M0 Crawler excavator "PC 220" series. Spare Parts Catalog. Service (workshop) Manual. Operator's Instruction Manual. 4151091 PC220LL-6 KOMATSU PC220LL-6 Crawler excavator "PC 220" series. Spare Parts Catalog. Service (workshop) Manual. Operator's Instruction Manual. 4151092 PC220LL-7L KOMATSU PC220LL-7L Crawler excavator "PC 220" series. Spare Parts Catalog. Service (workshop) Manual. Operator's Instruction Manual. 4151093 PC220LL-8 KOMATSU PC220LL-8 Crawler excavator "PC 220" series. Spare Parts Catalog. Service (workshop) Manual. Operator's Instruction Manual. 4151094 PC220SE-6 KOMATSU PC220SE-6 Crawler excavator "PC 220" series. Spare Parts Catalog. Service (workshop) Manual. Operator's Instruction Manual. 4151096 PC228US-1 KOMATSU PC228US-1 Crawler excavator "PC 228" series. Spare Parts Catalog. Service (workshop) Manual. Operator's Instruction Manual. 4151097 PC228US-2 KOMATSU PC228US-2 Crawler excavator "PC 228" series. Spare Parts Catalog. Service (workshop) Manual. Operator's Instruction Manual. 4151098 PC228US-3 KOMATSU PC228US-3 Crawler excavator "PC 228" series. Spare Parts Catalog. Service (workshop) Manual. Operator's Instruction Manual. 4151099 PC228US-3E0 KOMATSU PC228US-3E0 Crawler excavator "PC 228" series. Spare Parts Catalog. Service (workshop) Manual. Operator's Instruction Manual. 4151100 PC228US-3-KU KOMATSU PC228US-3-KU Crawler excavator "PC 228" series. Spare Parts Catalog. Service (workshop) Manual. Operator's Instruction Manual. 4151101 PC228US-3N KOMATSU PC228US-3N Crawler excavator "PC 228" series. Spare Parts Catalog. Service (workshop) Manual. Operator's Instruction Manual. 4151102 PC228US-3T KOMATSU PC228US-3T Crawler excavator "PC 228" series. Spare Parts Catalog. Service (workshop) Manual. Operator's Instruction Manual. 4151103 PC228US-3T1 KOMATSU PC228US-3T1 Crawler excavator "PC 228" series. Spare Parts Catalog. Service (workshop) Manual. Operator's Instruction Manual. 4151104 PC228US-3T3 KOMATSU PC228US-3T3 Crawler excavator "PC 228" series. Spare Parts Catalog. Service (workshop) Manual. Operator's Instruction Manual. 4151105 PC228US-8 KOMATSU PC228US-8 Crawler excavator "PC 228" series. Spare Parts Catalog. Service (workshop) Manual. Operator's Instruction Manual. 4151106 PC228USLC-1 KOMATSU PC228USLC-1 Crawler excavator "PC 228" series. Spare Parts Catalog. Service (workshop) Manual. Operator's Instruction Manual. 4151107 PC228USLC-2 KOMATSU PC228USLC-2 Crawler excavator "PC 228" series. Spare Parts Catalog. Service (workshop) Manual. Operator's Instruction Manual. 4151108 PC228USLC-3 KOMATSU PC228USLC-3 Crawler excavator "PC 228" series. Spare Parts Catalog. Service (workshop) Manual. Operator's Instruction Manual. 4151109 PC228USLC-3E0 KOMATSU PC228USLC-3E0 Crawler excavator "PC 228" series. Spare Parts Catalog. Service (workshop) Manual. Operator's Instruction Manual. 4151110 PC228USLC-3N KOMATSU PC228USLC-3N Crawler excavator "PC 228" series. Spare Parts Catalog. Service (workshop) Manual. Operator's Instruction Manual. 4151111 PC228USLC-3T KOMATSU PC228USLC-3T Crawler excavator "PC 228" series. Spare Parts Catalog. Service (workshop) Manual. Operator's Instruction Manual. 4151112 PC228USLC-3T1 KOMATSU PC228USLC-3T1 Crawler excavator "PC 228" series. Spare Parts Catalog. Service (workshop) Manual. Operator's Instruction Manual. 4151113 PC228USLC-3T3 KOMATSU PC228USLC-3T3 Crawler excavator "PC 228" series. Spare Parts Catalog. Service (workshop) Manual. Operator's Instruction Manual. 4151114 PC228USLC-8 KOMATSU PC228USLC-8 Crawler excavator "PC 228" series. Spare Parts Catalog. Service (workshop) Manual. Operator's Instruction Manual. 4151115 PC228UU-1 KOMATSU PC228UU-1 Crawler excavator "PC 228" series. Spare Parts Catalog. Service (workshop) Manual. Operator's Instruction Manual. 4151117 PC230-6 KOMATSU PC230-6 Crawler excavator "PC 230" series. Spare Parts Catalog. Service (workshop) Manual. Operator's Instruction Manual. 4151118 PC230-7 KOMATSU PC230-7 Crawler excavator "PC 230" series. Spare Parts Catalog. Service (workshop) Manual. Operator's Instruction Manual. 4151119 PC230-8 KOMATSU PC230-8 Crawler excavator "PC 230" series. Spare Parts Catalog. Service (workshop) Manual. Operator's Instruction Manual. 4151120 PC230-10 KOMATSU PC230-10 Crawler excavator "PC 230" series. Spare Parts Catalog. Service (workshop) Manual. Operator's Instruction Manual. 4151121 PC230LC-6 KOMATSU PC230LC-6 Crawler excavator "PC 230" series. Spare Parts Catalog. Service (workshop) Manual. Operator's Instruction Manual. 4151122 PC230LC-7 KOMATSU PC230LC-7 Crawler excavator "PC 230" series. Spare Parts Catalog. Service (workshop) Manual. Operator's Instruction Manual. 4151123 PC230LC-8 KOMATSU PC230LC-8 Crawler excavator "PC 230" series. Spare Parts Catalog. Service (workshop) Manual. Operator's Instruction Manual. 4151124 PC230LC-10 KOMATSU PC230LC-10 Crawler excavator "PC 230" series. Spare Parts Catalog. Service (workshop) Manual. Operator's Instruction Manual. 4151125 PC230NHD-7K KOMATSU PC230NHD-7K Crawler excavator "PC 230" series. Spare Parts Catalog. Service (workshop) Manual. Operator's Instruction Manual. 4151126 PC230NHD-8K KOMATSU PC230NHD-8K Crawler excavator "PC 230" series. Spare Parts Catalog. Service (workshop) Manual. Operator's Instruction Manual. 4151128 PC240-3K KOMATSU PC240-3K Crawler excavator "PC 240" series. Spare Parts Catalog. Service (workshop) Manual. Operator's Instruction Manual. 4151129 PC240-5K KOMATSU PC240-5K Crawler excavator "PC 240" series. Spare Parts Catalog. Service (workshop) Manual. Operator's Instruction Manual. 4151130 PC240-6K KOMATSU PC240-6K Crawler excavator "PC 240" series. Spare Parts Catalog. Service (workshop) Manual. Operator's Instruction Manual. 4151131 PC240-8K KOMATSU PC240-8K Crawler excavator "PC 240" series. Spare Parts Catalog. Service (workshop) Manual. Operator's Instruction Manual. 4151132 PC240LC-3 KOMATSU PC240LC-3 Crawler excavator "PC 240" series. Spare Parts Catalog. Service (workshop) Manual. Operator's Instruction Manual. 4151133 PC240LC-3K KOMATSU PC240LC-3K Crawler excavator "PC 240" series. Spare Parts Catalog. Service (workshop) Manual. Operator's Instruction Manual. 4151134 PC240LC-5K KOMATSU PC240LC-5K Crawler excavator "PC 240" series. Spare Parts Catalog. Service (workshop) Manual. Operator's Instruction Manual. 4151135 PC240LC-6K KOMATSU PC240LC-6K Crawler excavator "PC 240" series. Spare Parts Catalog. Service (workshop) Manual. Operator's Instruction Manual. 4151136 PC240LC-7K KOMATSU PC240LC-7K Crawler excavator "PC 240" series. Spare Parts Catalog. Service (workshop) Manual. Operator's Instruction Manual. 4151137 PC240LC-8 KOMATSU PC240LC-8 Crawler excavator "PC 240" series. Spare Parts Catalog. Service (workshop) Manual. Operator's Instruction Manual. 4151138 PC240LC-8K KOMATSU PC240LC-8K Crawler excavator "PC 240" series. Spare Parts Catalog. Service (workshop) Manual. Operator's Instruction Manual. 4151139 PC240LC-10 KOMATSU PC240LC-10 Crawler excavator "PC 240" series. Spare Parts Catalog. Service (workshop) Manual. Operator's Instruction Manual. 4151140 PC240LC-10K KOMATSU PC240LC-10K Crawler excavator "PC 240" series. Spare Parts Catalog. Service (workshop) Manual. Operator's Instruction Manual. 4151141 PC240NLC-3K KOMATSU PC240NLC-3K Crawler excavator "PC 240" series. Spare Parts Catalog. Service (workshop) Manual. Operator's Instruction Manual. 4151142 PC240NLC-5K KOMATSU PC240NLC-5K Crawler excavator "PC 240" series. Spare Parts Catalog. Service (workshop) Manual. Operator's Instruction Manual. 4151143 PC240NLC-6K KOMATSU PC240NLC-6K Crawler excavator "PC 240" series. Spare Parts Catalog. Service (workshop) Manual. Operator's Instruction Manual. 4151144 PC240NLC-7K KOMATSU PC240NLC-7K Crawler excavator "PC 240" series. Spare Parts Catalog. Service (workshop) Manual. Operator's Instruction Manual. 4151145 PC240NLC-8K KOMATSU PC240NLC-8K Crawler excavator "PC 240" series. Spare Parts Catalog. Service (workshop) Manual. Operator's Instruction Manual. 4151146 PC240NLC-10 KOMATSU PC240NLC-10 Crawler excavator "PC 240" series. Spare Parts Catalog. Service (workshop) Manual. Operator's Instruction Manual. 4151147 PC240NLC-10K KOMATSU PC240NLC-10K Crawler excavator "PC 240" series. Spare Parts Catalog. Service (workshop) Manual. Operator's Instruction Manual. 4151149 PC250-6 KOMATSU PC250-6 Crawler excavator "PC 250" series. Spare Parts Catalog. Service (workshop) Manual. Operator's Instruction Manual. 4151150 PC250LC-6 KOMATSU PC250LC-6 Crawler excavator "PC 250" series. Spare Parts Catalog. Service (workshop) Manual. Operator's Instruction Manual. 4151151 PC250LC-6L KOMATSU PC250LC-6L Crawler excavator "PC 250" series. Spare Parts Catalog. Service (workshop) Manual. Operator's Instruction Manual. 4151152 PC250LC-6LC KOMATSU PC250LC-6LC Crawler excavator "PC 250" series. Spare Parts Catalog. Service (workshop) Manual. Operator's Instruction Manual. 4151153 PC250LC-6LE KOMATSU PC250LC-6LE Crawler excavator "PC 250" series. Spare Parts Catalog. Service (workshop) Manual. Operator's Instruction Manual. 4151155 PC270-7 KOMATSU PC270-7 Crawler excavator "PC 270" series. Spare Parts Catalog. Service (workshop) Manual. Operator's Instruction Manual. 4151156 PC270-8 KOMATSU PC270-8 Crawler excavator "PC 270" series. Spare Parts Catalog. Service (workshop) Manual. Operator's Instruction Manual. 4151157 PC270-8 Galeo KOMATSU PC270-8 Galeo Crawler excavator "PC 270" series. Spare Parts Catalog. Service (workshop) Manual. Operator's Instruction Manual. 4151158 PC270LC-6LE KOMATSU PC270LC-6LE Crawler excavator "PC 270" series. Spare Parts Catalog. Service (workshop) Manual. Operator's Instruction Manual. 4151159 PC270LC-7L KOMATSU PC270LC-7L Crawler excavator "PC 270" series. Spare Parts Catalog. Service (workshop) Manual. Operator's Instruction Manual. 4151160 PC270LC-8 KOMATSU PC270LC-8 Crawler excavator "PC 270" series. Spare Parts Catalog. Service (workshop) Manual. Operator's Instruction Manual. 4151161 PC270LC-8 Galeo KOMATSU PC270LC-8 Galeo Crawler excavator "PC 270" series. Spare Parts Catalog. Service (workshop) Manual. Operator's Instruction Manual. 4151162 PC270LL-7L KOMATSU PC270LL-7L Crawler excavator "PC 270" series. Spare Parts Catalog. Service (workshop) Manual. Operator's Instruction Manual.